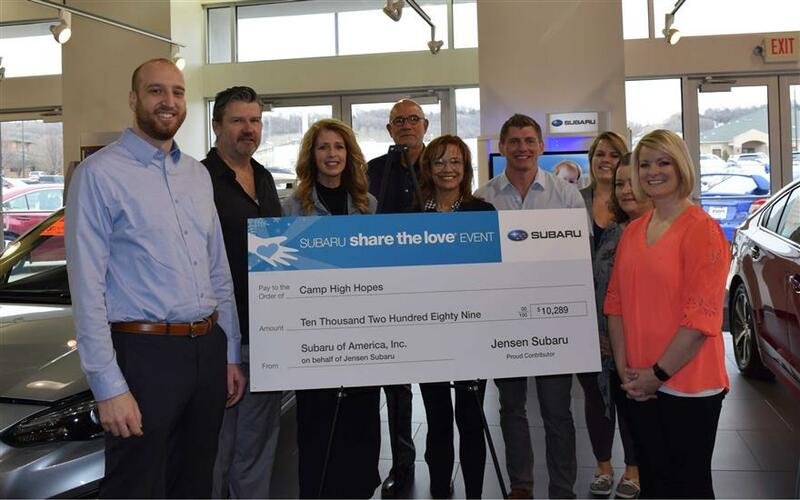 How is Jensen Subaru dedicated locally to the Love Promise? 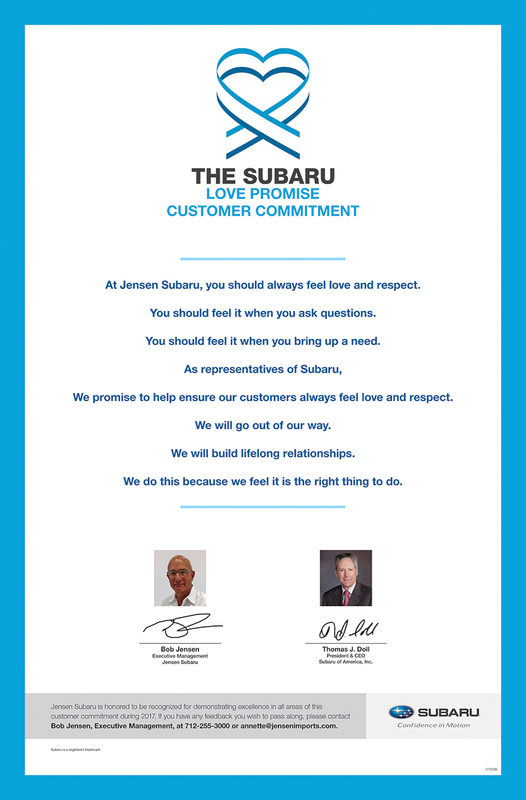 Did Jensen Subaru go above and beyond, provide exceptional service, or support causes that are important to you? We'd love to hear about it. 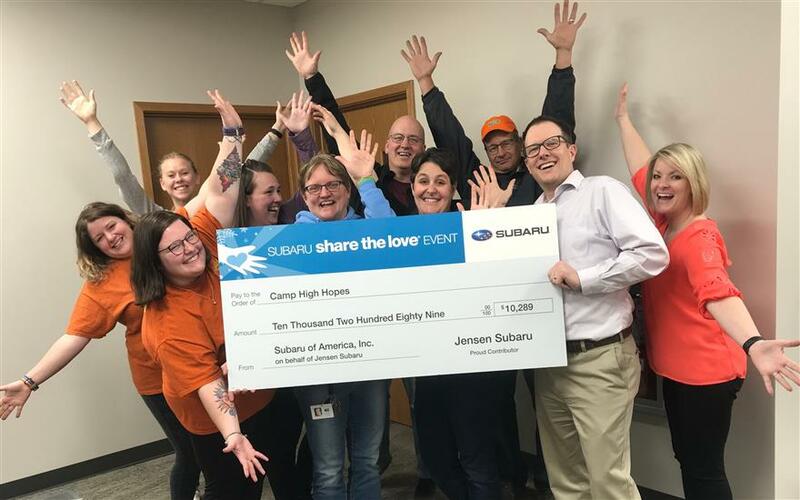 At Camp High Hopes, we are thrilled Jensen Subaru chose us as the 2018/2019 Share the Love recipient! Jensen Subaru does so much for the community and we are proud to be a part of that. It's so heartwarming to see a local business donating back to the community that supports them. This Share the Love gift will be used to directly benefit our campers enrolled in 2019 Summer Sleep Away Camp programs. It will help to cover the cost of things like adapted activities, specialized equipment, healthy meals, medical supplies, and transportation. It allows campers to experience things they've never had a chance to before! Thank you, Jensen Subaru, for helping enrich the lives of people with disabilities in Siouxland! You have given campers life-changing opportunities and have helped Camp High Hopes to share the smiles with our amazing campers! 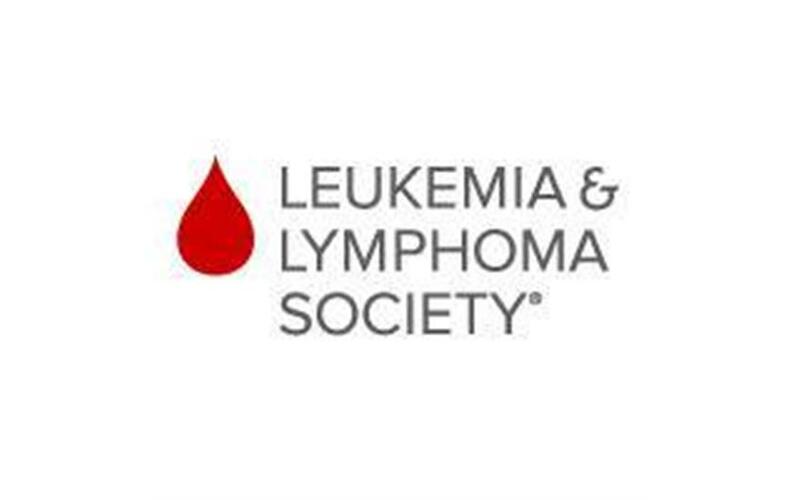 On behalf of LLS, we would like to Thank Jensen Subaru for this continued partnership with the Leukemia & Lymphoma Society and the local cancer center. 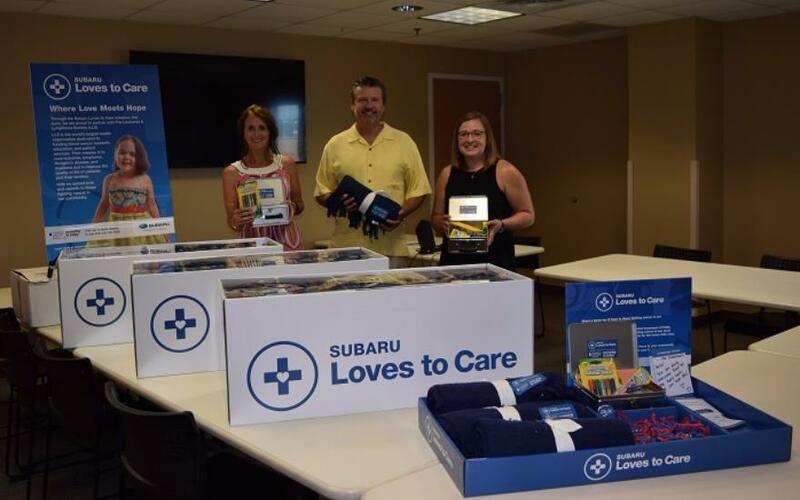 On June 13th, 2018, Jensen Subaru staff presented June E. Nylen Community Cancer center with 80 blankets, care cards and 10 craft kits. Jensen Subaru and the Nylen Community Cancer staff have a great relationship as this is the second year for the deliveries of blankets and just this last year they donated $6,000 to the cancer center from their Share the Love Program. LLS looks forward to continuing this partnership with both entities and is Thankful for all the work done by Subaru! 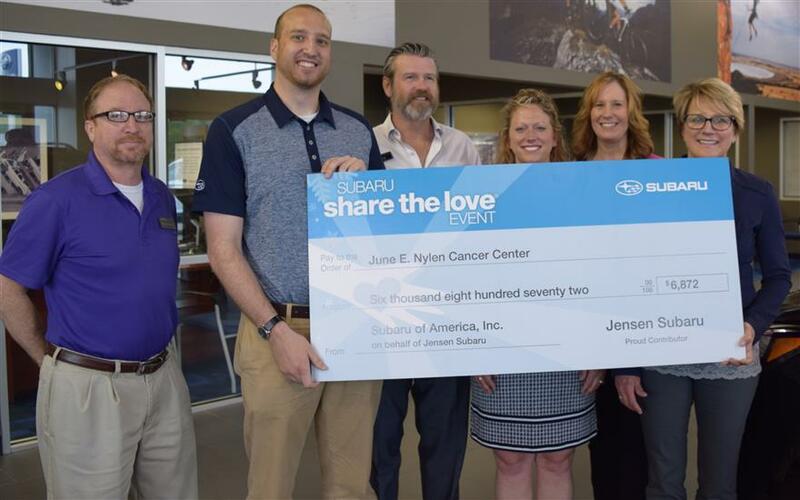 We thank Jensen Subaru in Sioux City for their generous donation of over $6000 to be used for technology here at the June E. Nylen Cancer Center with the "Share the Love" program. 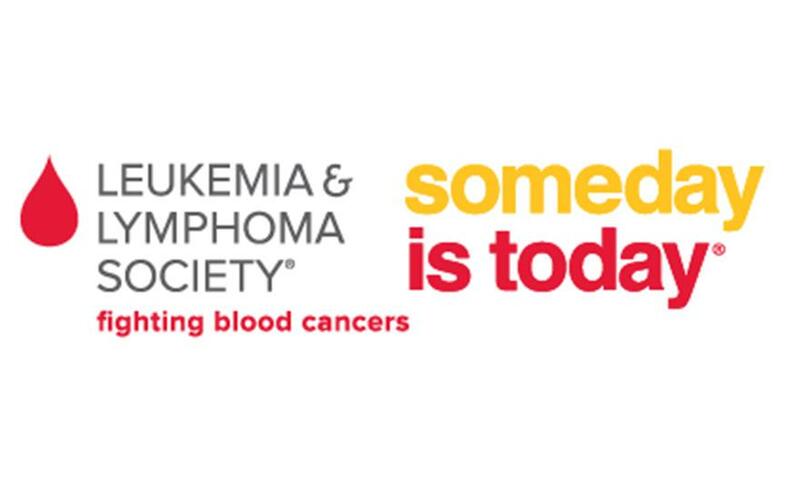 Between the months of November 17th to January 2018, customers who bought a new Subaru could choose to donate to the local charity with the dealership; donating $400 from each sale. For the Cancer Center, it provides the opportunity to fund new technology for their patients. “Everyone has been touched by cancer in one way or another, and without local community support like Subaru we wouldn't be able to do the things that we do to support our patients and families, it's mission critical to have gifts like this and we are just very thankful to Subaru for reaching out to us and selecting us to be the love campaign charity,” said Karen Van De Steeg with June E. Nylen Cancer Center. Thank you Subaru! 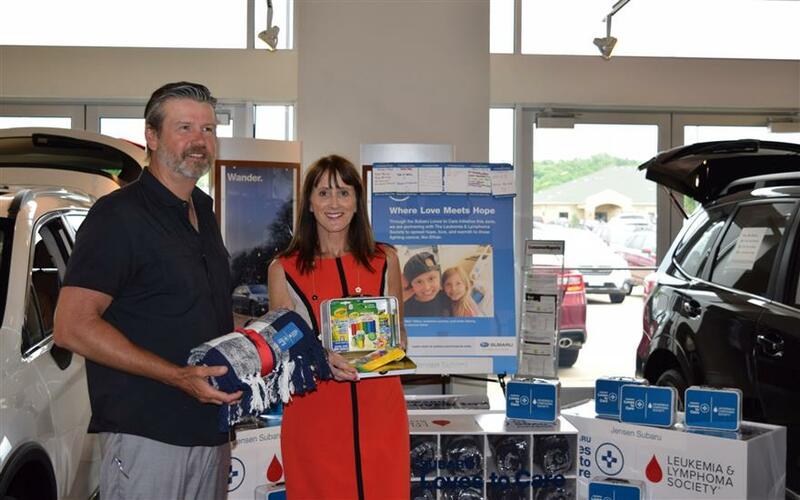 Jensen Dealerships’ third-annual mission trip to Jamaica. Our volunteers will serve in February and are there for a week. WeServe in Sgt. Bluff, Iowa helps us set up these missions in Jamaica in partnership with Praying Pelican Missions. 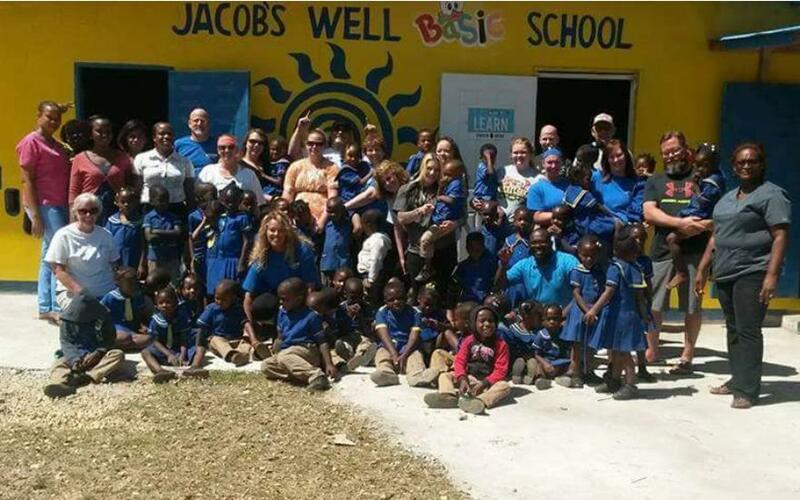 We spend part of our days at the schools, working with children in Jacobs Well. We also go out into the community to help with construction projects. We are very blessed to work for a company that gives us the ability to serve. WeServe is a nonprofit organization that started in 2012 with an idea to offer short-term service trips to employees of various companies. WeServe has a passion for partnering with companies that want to make a difference in their employees' lives and the lives of those it serves.Praying Pelican Missions is a short-term international missions organization serving the needs of indigenous local churches, pastors and communities around the world. It sets up and leads mission trips for churches, small groups, families and individuals from North America, and it is continually expanding and strengthening its network of pastors and communities both abroad and in the United States. Each year, as lives are touched and hearts are transformed, there is an increasing number of pastors, churches and communities inviting mission teams to serve alongside them through Praying Pelican Missions. Its staff is continually amazed to witness and be part of God's movement in the world, from Chicago to Costa Rica, and to South Africa and everywhere in between. Through Praying Pelican Missions, more than 40,000 short-term missionaries have served in over 1,000 different communities at various locations. Teams from all over the United States and Canada join in these missions, making Praying Pelican Missions the largest provider of short-term mission opportunities.